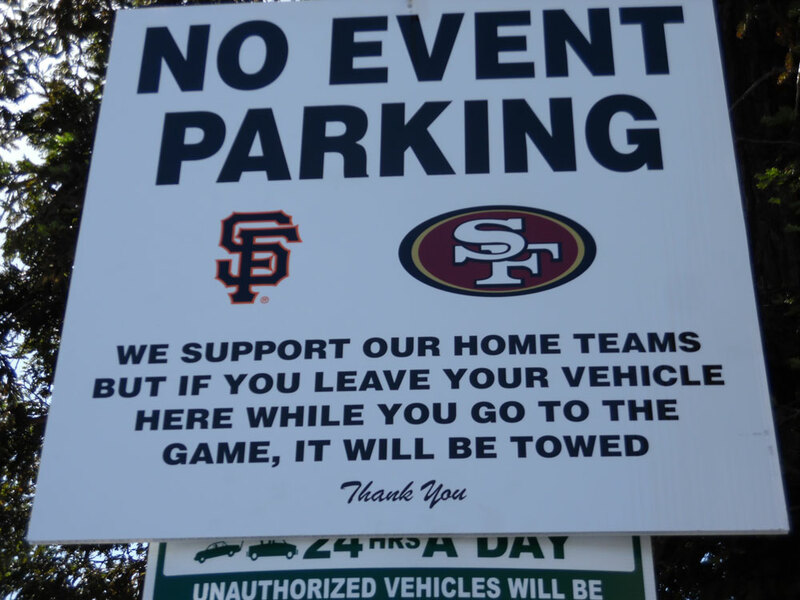 No Giants/ ‘Niners Parking At Sequoia Station! To Save A Few Bucks By Not Making Use Of The Provided CalTrans Lots. BY RETURNING TO FIND YOUR CAR TOWED! When People Park At Sequoia Station For Other Reasons Than To Shop. Please Tell Everybody About This Change! I Really Don’t Want Anyone Getting Towed.